Ford continues to struggle to achieve the sales numbers it had hoped for in China. But the Blue Oval has come up with a plan to introduce as many as 50 new models in the People's Republic between now and 2025. One of the first will be the new affordable Ford Territory crossover. The strategy seems entirely sensible, as it seems the world can't get enough of crossover vehicles right now. This may be the car that really gets the ball rolling for Ford in China again. 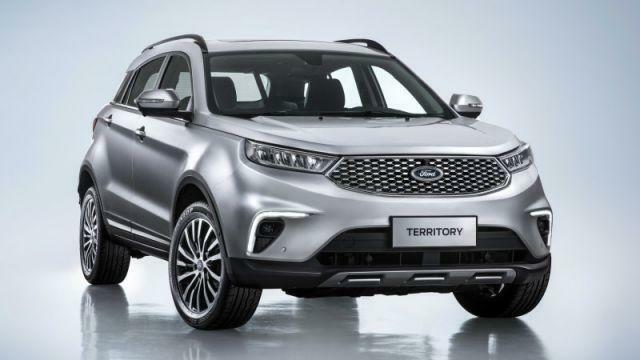 The model in question will be called the Territory -- not to be confused with the SUV of the same name for the Australian market, which is a rear-wheel drive based on the Ford Falcon. The name alone marks it as a new kind of Ford SUV since its name doesn't begin with an 'E'. Strictly aimed at the Chinese market, this midsize model has been developed in conjunction with Ford's Chinese partner JMC. Though details are scarce at the moment, it has been revealed there will be three different engines available: a conventional petrol unit, a Miller-cycle-style engine with a 48-volt mild-hybrid system attached, and a plug-in hybrid. While JMC consulted with Ford on what sells best in China, the design, engineering and testing of the new Territory were said to be all Ford-led. The vehicle will be manufactured in China at one of JMC's factories. In fact, the Chinese company may have had more to do with the development than Ford is currently revealing. 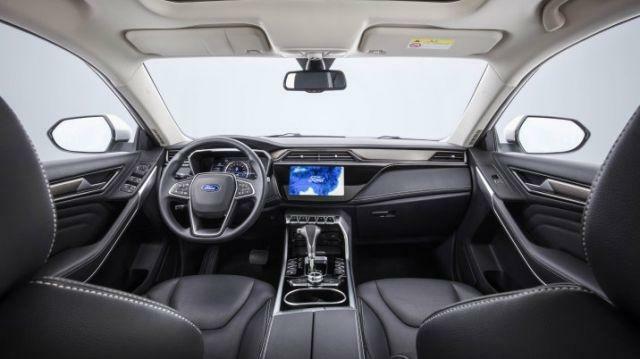 That's because Car News China says the Territory appears almost identical to an SUV already on sale in China called the S330, which is manufactured by a brand called Yusheng, owned by none other than JMC. The Territory will goes on sale in China in early 2019. There isn't much chance of it finding its way to the US or Europe though, as it's unlikely to pass the stringent safety and emissions standards of those markets without considerable redevelopment and at considerable cost.